This week, Dream Deceivers: The Story Behind James Vance vs. Judas Priest. This documentary was produced for PBS in 1992 by director David Van Taylor, and covers the lawsuit brought upon Judas Priest in 1990 by the parents of two boys in Reno who had, the parents claimed, been driven to suicide in 1985 by subliminal messages in the band’s songs. The film is somewhat grotesque and surreal, on account of the events it documents being themselves so bizarre. The fact that this trial actually happened and was such a big deal has only become more appalling and unbelievable as time passes. It was announced earlier this week that Marianne Elliott-Said, better known as Poly Styrene, died of cancer. The influential singer/lyricist was best known for fronting X-Ray Spex in the late seventies, and a solo record in 1980. She left the music biz behind after converting to Hare Krishna in the early eighties, but released two more solo albums in 1986 and 2004. The news of her death comes about a month after the release of her acclaimed new record, Generation Indigo. “Laura Palmer’s Prom,” the latest (and maybe final) video from You Say Party. Last month, Cornershop released their sixth LP, Cornershop and the Double O Groove Of. Six years in the making, it takes their English/Indian fusion further than ever before, by leaving out the band’s classic rock elements and adding vocalist Bubbley Kaur, who provides Punjabi lyrics on every track. It was reported yesterday that Paul Andrews – better known as Paul Di’Anno, former singer for Iron Maiden – has been sentenced to jail time in the UK for benefit fraud. Di’Anno sang on the first two Iron Maiden albums and then left the band in 1981, just before their international breakthrough. After his departure, the band turned a new page and entered into a period of success and influence that would last the rest of the ’80s and onward. Di’Anno went on to front a number of bands over the years, but, never to such acclaim as for his work in Iron Maiden. His career has long been hampered by problems with drugs and alcohol, mismanagement, poor decisions, infighting, etc., which not only contributed to his departure from Iron Maiden, but have relegated him to the role of an unfortunate character ever since. Di’Anno’s contribution to Iron Maiden remains impressive, though, essential even, for some. The band have never captured the same rawness that they had with Di’Anno on vocals, and it’s interesting to wonder how things would have gone for them if he’d stuck around. Pitchfork TV recently featured a performance by Women, shot in an old warehouse. Not sure what its deal is (when/where it was shot), but the stark footage captures the band performing three songs from Public Strain. It won’t embed, so, watch it here. 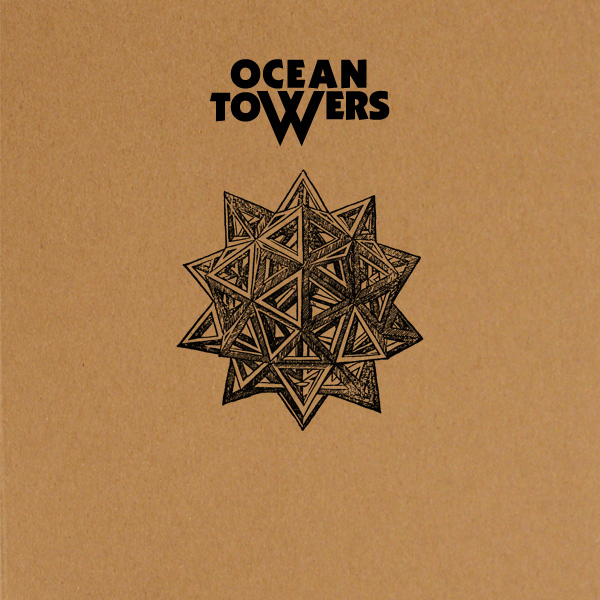 I first became aware of Ocean Towers about two years ago and liked them right away based on what I heard on their MySpace. They were brand new at that point and I was very interested to see how their sound would evolve. I was excited to learn their EP Chapter One was available for free on their BandCamp page and I’m listening as I type this. Named for Halifax’s most notoriously bedbug-infested apartment complex, Ocean Towers churns out slow, doom-y, stoner rock with the occasional weird synth sound. The guitar parts are a lot more noodle-y than I like, and I’m having a hard time getting past the way in which the singer sort of, and I mean vaguely, sounds like Paul Stanley. It’s a thought I had while listening to “Echo” and now I can’t un-hear the similarity. The only thing that really moves me about about this is the bass. The lines are mostly simple, Sabbath-y, and all the right things, but it’s not enough to make me fall in love with the EP. I couldn’t find any concert footage, so here’s a promotional video for the apartment complex. Don’t live there!